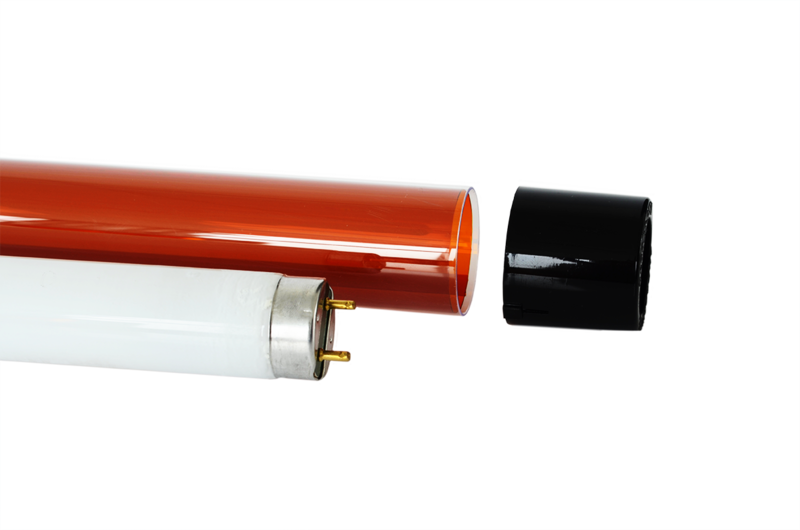 Note: diameter of the UV-filter tube: 20 mm diameter of the lamp: 16 mm; Delivery includes only the T5 UV filter tube, not the associated lamps. 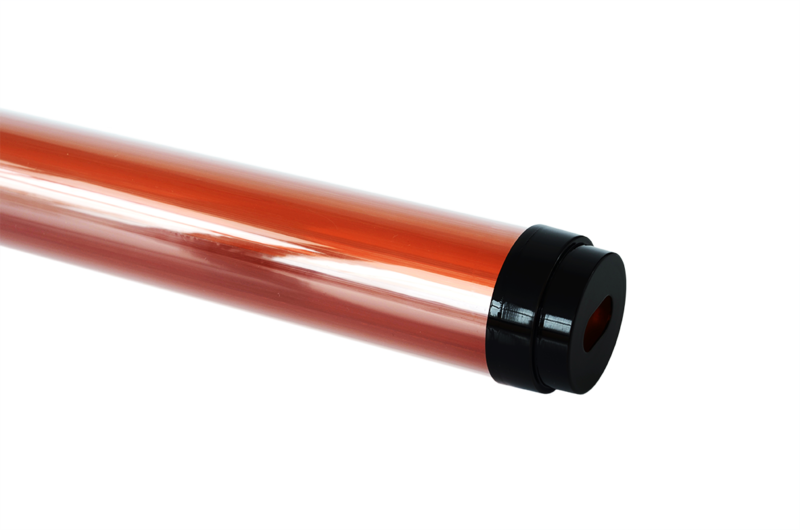 Product information "Lithoprotect® UV-Filter Sleeve T5"
The UV-filter tube T5 Y520 is especially designed for UV photo-sensitive areas and blocks reliably ultraviolet and blue light below 520 nm. 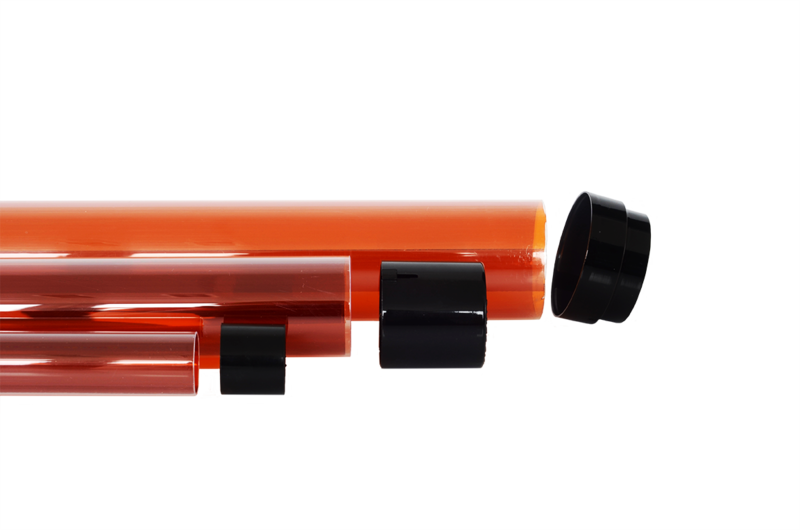 With this characteristic the UV-filter tube is suitable for applications in yellow rooms and laboratories in which UV-sensitive materials and products are being used and processed. This can be photoresist processing in micro lithography, fabrication of printed circuit boards and even to protect UV sensitive components in pharmaceutical production and research. A clear polycarbonate tube forms the outer casing of the filter tube, which has inside a layer of yellow-dyed cellulose triacetate foil. Due to the type of filter material, a reliable UV protection can be achieved even for challenging applications or purposes. 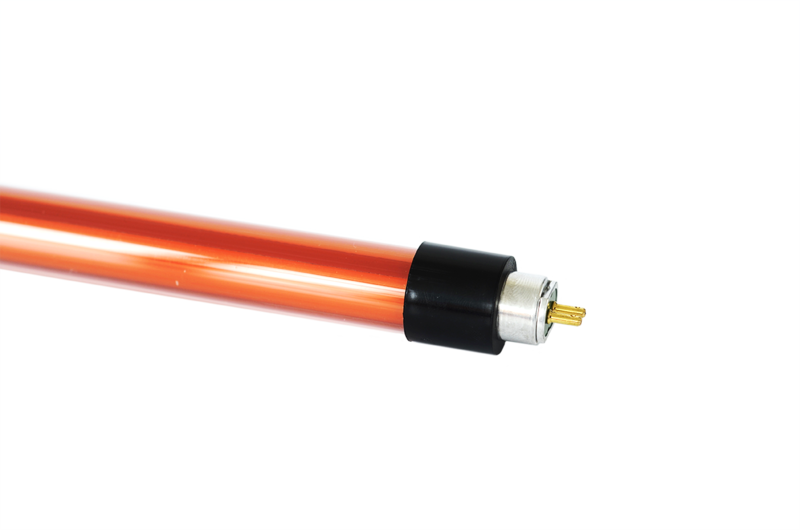 The Y520 UV-filter tube T8 is commonly used in the field of photolithography, the field of PCB, microelectronics manufacturing, photoresist fabrication, and handling of photoresists and diazofilms or other UV sensitive devices or components. 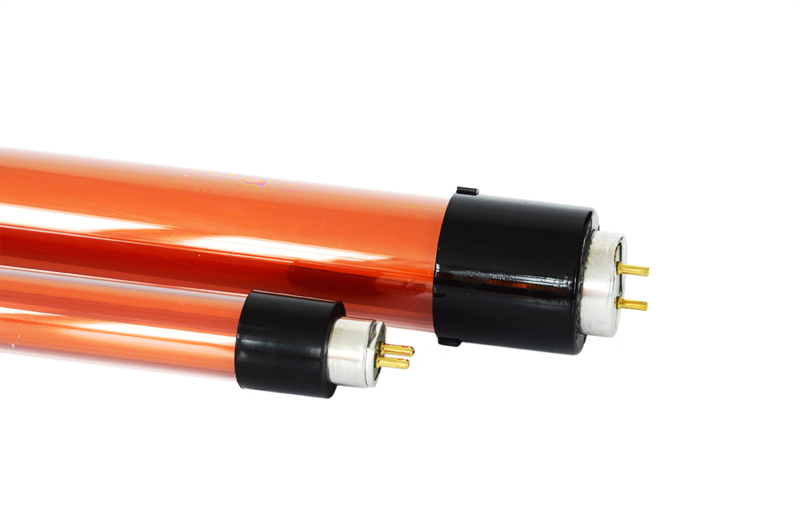 The UV-filter tube T5 Y520 is waterproof and resistant to oils, greases, weak mineral acids, weak organic acids, alcohols and aliphatic hydrocarbons. Chlorinated hydrocarbons, ketones and aromatic solvents will partially dissolve the surface of the filter tube, which may deteriorate the optical properties. 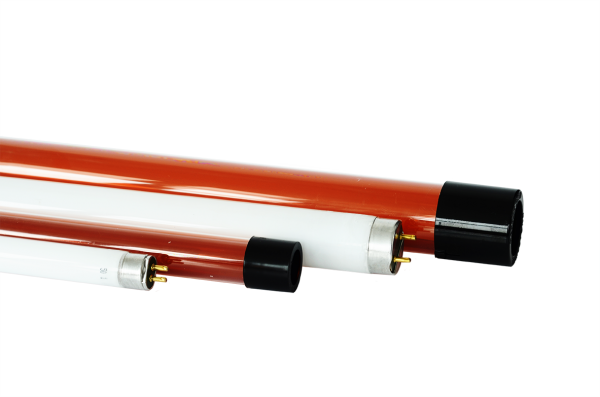 The UV-filter tube is not resistant to concentrated acids and alkaline liquids, which attack the sheath of the tube. The UV-filter tube T5 Y520 is self-extinguishing. The transmission characteristics of the T5 Y520 are especially designed to the high quality requirements in “yellow rooms” (photo lithography during manufacturing of electronic devices). At 450 nm the transmission is approx. 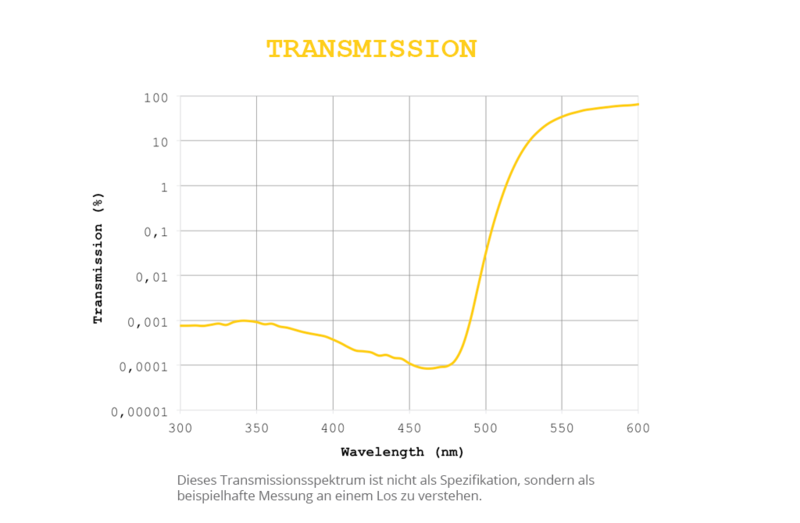 0.0001 %, which means that the transmission has been blocked to the millionth part of incident light. 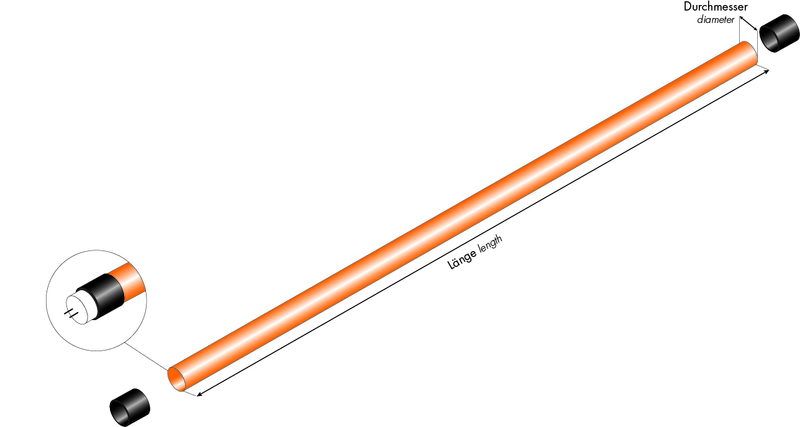 If you want to compare this tube with other UV-filter tubes, please ask for a semi-logarithmic illustration. If you check the linear plot, you will see nothing than zero entries, because you cannot distinguish 0.1 and 0.0001% in such a kind of plot! 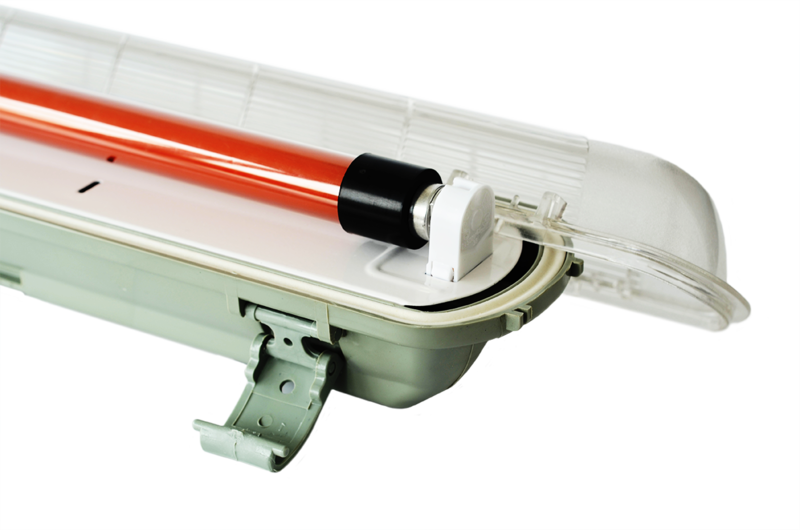 With the UV-filter tube T5 Y520 it is possible to get a UV-free light source from a standard T5 fluorescent tube. Remove both end caps from the filter tube and insert your T5 fluorescent bulb with a G5 socket into the filter tube. 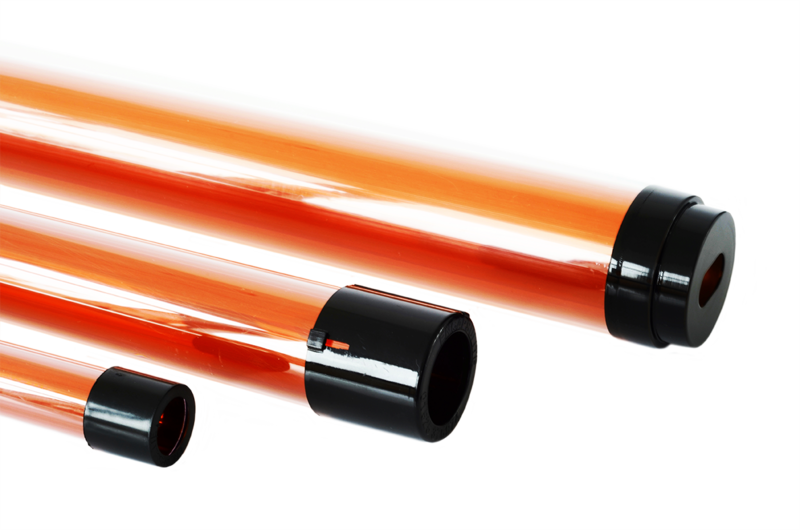 Subsequently close both sides of the UV filter tube light-proof with the included end caps. After the installation please check if the end caps seal the G5 socket properly, thus the UV filter tube can fulfill its specifications. Customer evaluation for "Lithoprotect® UV-Filter Sleeve T5"